You are going to Watch Blue Exorcist Episode 23 English dubbed online free episodes with HQ / high quality. 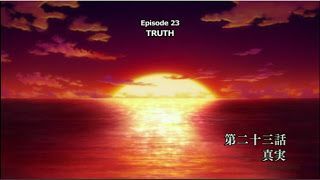 Stream Anime Blue Exorcist Episode 23 Online English dub Truth. By using the blood of the Okumura brothers, Ernst opens a massive gate to Gehenna and drops a weapon of mass destruction in an attempt to anihilate it. But his plan fails and backfires when Satan appears and reveals to Yukio the truth behind his and Rin’s origins before taking possession of his body.